Transform your home with the illuminating glow of LED lights and let your decorations stand out. The revolutionizing technology of LED has brought about a total shift, the way homes are decorating spaces using varied lighting. LED lights are the most eco-friendly, conveniently smart and effectively functional choices when it comes to installations. With its unmatched brightness and uniform distribution of lights you can beautify every interior and exterior corner to a great extent. Here’s a detailed guide on how LED effective integration of LED lighting will enhance the entire interior of home. 1.Highlight creative corner with Accent Lighting. LED lights accentuate the beauty of any display elements. Be it artworks, showpieces or any other decorative pieces, with spotlights you can turn any area into a beautiful work of art. Designing is an integral part and when it comes to giving a facelift, installing LED wall mounting and overhead lighting are best for creating an effortless accent solutions. 2.Create dramatic appearance with Atmospheric Lighting. Customizing outdoor with glorious blend of lighting is essential to infuse an aura. 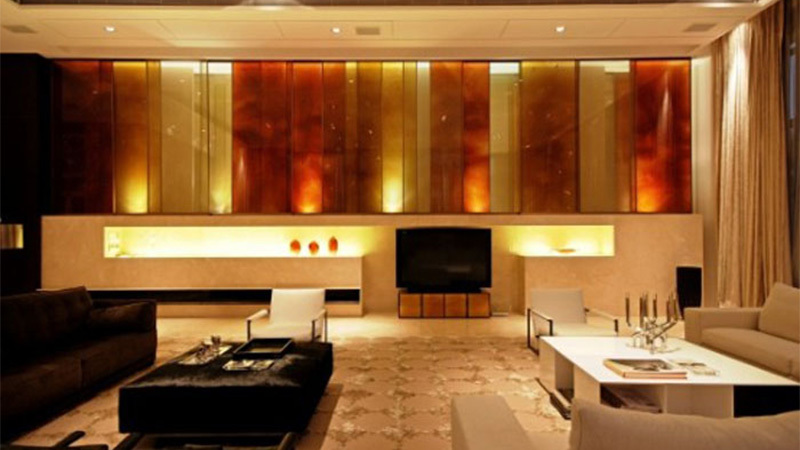 LED light plays a key role in making the overall ambience into a warm and inviting space. And what better ways to elevate the outdoor area and the landscape with various forms of lighting sources. Lit up the pathways and garden patios with flood lights, highlight your trees and plants with a colorful stream of Strip lights and you’ll surely leave a lasting impression. 3.Liven up your concentration zone with Task Lighting. Achieve desirable lighting effect in areas around kitchen and study room with the convenience of glare free LED lighting solutions. Pendants, chandelier and panel lights are the most effective when it comes to uplift the task lighting process. Drawing focus on particular area or things can be beautified with beautiful blend of task lighting. LED light conveniently converts any utilitarian space into an extraordinary ambiance to your interiors as well as exterior. By incorporating LED lights for your home, you can give a modernistic appeal, enhance the look of the décor and illuminate the entire area with great depth and dimension.